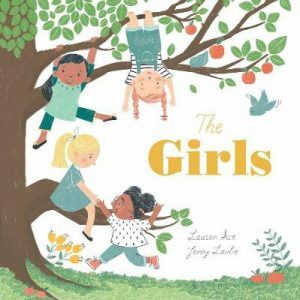 The Girls has been published by Caterpillar books, an imprint of Little Tiger Press Group and we included it a one of our Books of the Month in July. The Girls is also one of our Summer Reading Highlights. This charming book is perfect for reading at bedtime, at the weekend. The Girls is also ideal ahead of September, with changes afoot – whether it’s moving classes or starting school, this book has an amazing story, perfect for inspiring and reassuring young readers about what’s ahead and what they can achieve. 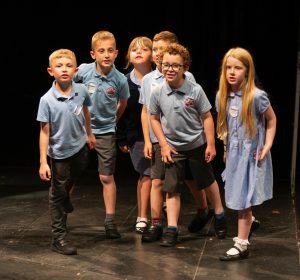 The 2018 Wicked Young Writer Awards, presented in association with the National Literacy Trust took place on the 21st June 2018. This year’s winners were announced at a ceremony that involved the 117 shortlisted finalists and their families. 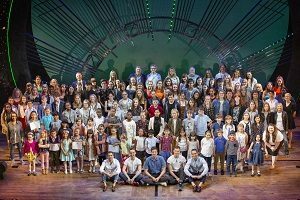 The Wicked Young Writer Awards ceremony was held at London’s Apollo Victoria Theatre, the home of the magical, award-winning musical WICKED. The Awards encourage people aged 5-25 years to use writing as a way of expressing themselves. The result? Unique and original pieces of poetry. This year there were more than 4,500 submissions, with an increase i the number of entries from both individuals, primary schools in the 8-10 age category and from the 15-17 age category. Among the finalists’ entries this year were stories, poems and non-fiction writing. The Shortlisted pieces were compelling and intense, often with dark themes and dramatic twists. In the older categories, issues such as gender discussions regarding the female roles, and stories connected to LGBTQ+ activism and gun control issues in the United States of America. A theme that features across all age categories was the awareness of an ageing population, with stories about dementia and old age. These important subjects were dealt with maturely and with respect. Ed Balls – writer, broadcaster and former secretary of State for Children, Schools and Families. Hosting this year’s award ceremony was Greg James, Recently announced as the new presenter of BBC Radio 1’s flagship Breakfast Show. The prizes were presented by Head Judge Cressida Cowell and the panel of prestigious judges. The Hip Hop artist and debut poet Karl Nova has been announced as the winner of CLiPPA 2018. Karl Nova created his debut, Rhythm and Poetry in order to bring poetry to children and young people through rap. This book really stood out for me with its refreshing use of the rap genre, its musicality, its immediacy and thoughtful reflections on the creative process. 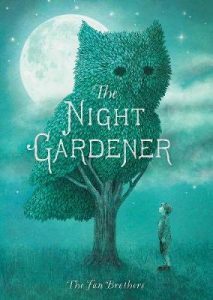 Karl Nova’s poems ring true with a sincere charm that children and young people can relate to and that may inspire their own writing. Karl’s win has come during a time where poetry is being embraced in to the mainstream – a trend that has been reflected in children’s poetry. The popularity has also helped to raise the profile of CLiPPA. This Award is the CLPE’s flagship event in their work all year-round championing poetry. The CLPE’s Power of Reading project works with teachers and with poets in order to understand how to make poetry engaging and impactful in the classroom. As a part of this scheme, 350 free copies of the shortlisted books will be sent to teachers nationally. At CLPE, we are determined to celebrate the very best children’s poetry by involving more schools, producing more resources and getting more poetry books into schools. We promote it, we research it, we help teachers to use it in schools – we are poetry because poetry is the gateway to literacy. 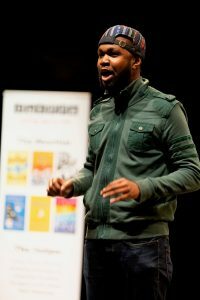 Karl Nova received the CLiPPA and a cheque for £1000 in front of a packed audience, filled with poets, educators, publishers, shadowing school children and media at an event held a The National Theatre. At the ceremony, all the shortlisted poets performed on stage alongside children from the CLiPPA Shadowing Scheme, whose winning performances were selected from hundreds of competition entries. Rising Stars by Ruth Awolola, Victoria Adukwei Bulley, Abigail Cook, Jay Hulme and Amina Jama is a poetry collection by poets and performers from under-represented communities. This shortlisted entry was also highly commended at the CLiPPA ceremony. You can view the entire shortlist in our special poetry category. The CLPE have thanked ALCS, Siobhan Dowd Trust and St Olave’s Funds for their generous support of CLiPPA. Jonathan Litton, author of Journeys, The Earth Book and Touch-and-feel 123 is back! This time we will be exploring burrows, boreholes, Cavities and Canyons. This is a fascinating book that looks at all of the different types of holes, from household to human. Holes: Discover a Hidden World is a fascinating new book of discovery. Learn what’s going on, underground, and inside these man made and naturally occurring spaces. 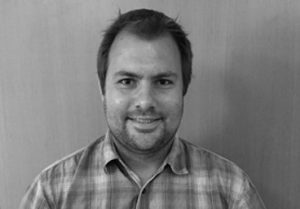 Jonathan Litton has written a number of books using both prose and verse. 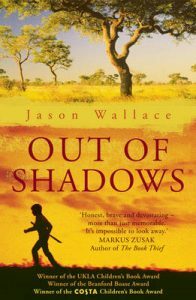 Holes (and many of his other books) have stemmed from Jonathan’s science background. Whether it’s sea creatures or sinkholes, Jonathan Litton tells brilliantly interesting stories about how our world is shaped. “I’ve wanted to write about holes for as long as I can remember. I loved digging them as a child, whether in sand or soil, and enjoyed daydreaming about what I might find – a T. rex tooth, Roman coins, or a passage to New Zealand. I savoured the mud, sweat and sometimes blood of digging (yes, I was one of those kids! ), and sometimes I was fortunate enough for my excavations to unearth real treasures – an ammonite the size of my head and an air raid shelter were two particular gems. Decades passed, with limited digging. Then several years ago, I began hollowing out a huge hole, and a secret one at that. One in which I could squirrel away and hoard ideas. I placed all sorts of holes in there – black holes, white holes and wormholes, arrow holes, keyholes and sieve-holes, subways, tunnels and escape holes, sinkholes, geysers and lava tubes, caves, crevasses and caldera, groundhogs, snakes and spiders, xylem, phloem and lotus flower seed pods, sponge-holes, plugholes and sewers, mouths, bottoms and tear ducts, mathematical holes, philosophical holes and religious ones. I waited until an opportune moment and then lured my publisher into the trap. Holes is the result of all this squirrelling and hoarding. And lots of new research too. The net was cast very wide as to what constituted a hole, and then came a sieving process and categorisation of the contents in collaboration with the editor and illustrator. Some of my most fascinating findings were of ‘true voids’ in space — huge ‘holes’ of nothingness — lizards which dug corkscrew burrows, a road tunnel which loops around six times in a spiral-like fashion as it climbs up the inside of a Norwegian mountain, the 50 million holes a woodpecker might make in a lifetime, and ingenious holes in the roofs of some Senegalese houses which funnel rainwater for family use. But perhaps most fascinating of all is the philosophy of holes. I’m studying for a degree in Eastern & Western Philosophy and love wrangling with deep thoughts from different angles. Thus, a philosophical interlude begged to be included in this book, which begins by inviting the reader to think of a hole in a sock. It can be counted – there is one hole in this sock. Or are there two? What about the intentional hole for the foot? Or are there thousands? Think of the gaps between the threads where air and water can get in, and pungent smells can escape! The hole can grow bigger. But what if the hole becomes so big that there’s no sock left at all? What happened to the hole? Does it still exist? Did it swallow the sock? Or did it disappear in a puff of smoke when all the thread disappeared? 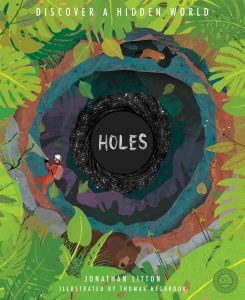 Holes: Discover a Hidden World was published on the 14th June and is published by 360 Degrees, a new imprint of the Little Tiger Press Group. 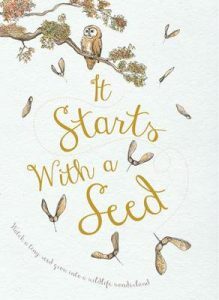 This non-fiction imprint publishes books that uniquely deal with a range of topics to make nonfiction more accessible to younger readers. The books available from 360 Degrees are filled with fun activities, high quality pictures and easy to understand presentation – great for making learning more interesting. Take a look at our 360 Degrees category for more books and information. Dougal Dixon has released four fantastic new books, each of which focus on a different prehistoric creature. The first four in this brilliant new series are amazingly in-depth and look at some of the most fascinating animals in history, from the towering Titanosaur to the Massive Megalodon. The first four books in the series were published on the 30th April and are filled with up to date information ideal for devout Dino fans! Our Editorial Expert Andrea Reece has read each of the four fascinating titles. Andrea’s full reviews and the publisher’s piece of passion can be found on each book’s pages. 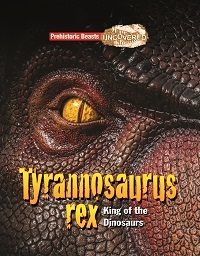 Our June 2018 Non-fiction Book of the Month, Tyrannosaurus Rex- King of the Dinosaurs (7+ / 9+) provides a fascinating look at one of the most terrifying predators to ever walk the prehistoric earth. The latest research and scientific discoveries have been compiled in an exceptionally educational book. Find out more about this iconic dino’s behaviours and learn about the fascinating new use of technology in order to create CGI reconstructions of these awesome animals. 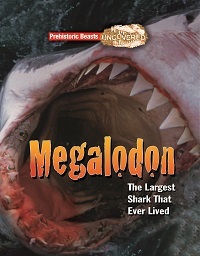 Megalodon – The Largest Shark That Ever Lived (7+ / 9+) contains everything you could possibly want to know about this enormous prehistoric predator. The book explores how it used to hunt down whales. How did one of the most powerful predators in the sea became extinct? Was there a bigger fish? This richly illustrated book is filled with everything that is known about the earth’s first sharks. 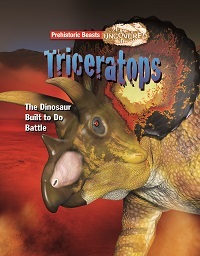 Triceratops – The Dinosaur Built to do Battle (7+ / 9+) looks at how these interesting prehistoric animals fought to take control of their herds. Fossils and scientific breakthroughs have led to discoveries about this Dinosaur’s huge frill. Dougal Dixon’s expertise as a paleontologist, writer and book editor to bring to life one of the most popular dinosaurs to ever walk the earth. 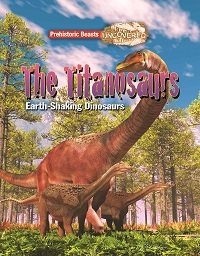 Titanosaur – The Giant Earth Shaking Dinosaur (7+ / 9+) looks at all things large. From the latest scientific discoveries about the Dreadnoughtus, the largest dinosaur to ever live, to the discovery of thousands of Titanosaur eggs, and how new scientific developments has led to groundbreaking discoveries about these prehistoric giants. The advances in research has led to us knowing more than we ever thought possible about this amazing prehistoric animals. A brilliant collection of books that will bring STEM to life for young readers and is a great read for children fascinated by dinosaurs! 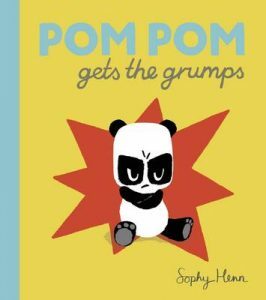 Sophy Henn, author of Almost Anything, Playtime with Ted, Bedtime with Ted, Edie and Pom Pom Gets the Grumps is back with a brand-new book! Older Not Wiser is out on the 31st May and tells the story of Jeanie’s up-to-no-good Grandma. At what age are you old enough to know better? 10? 15? 20? Older? Jeanie’s Grandma is always getting into mischief and, although it can be embarrassing for Jeanie sometimes, it is really fun when she gets involved in her Grandma’s tricks. This gorgeously illustrated Bad Nana book is the first in a brand-new series, with 8-year-old Jeannie sharing her Grandma’s latest exploits. This mischievous little book is aimed at readers aged 6 and above. Perfect for making little mischief-makers gasp in shock and laugh your socks off! 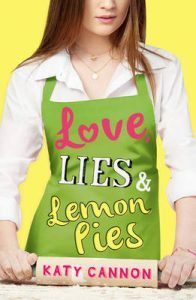 If you want to read the Andrea’s full review, head over to the Older Not Wiser book page on the LoveReading4Kids site. 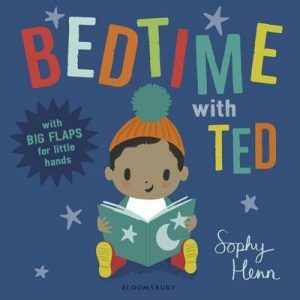 This bright and colourful book, illustrated by Sophy Henn is a brilliant start to a new series that will be perfect for children starting to read on their own, and will bring laughter and fun to story times or assisted reading. 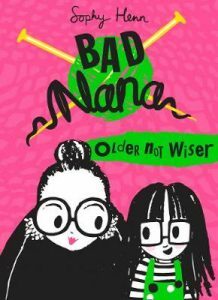 Older Not Wiser will be published by HarperCollins on the 31st May, meaning it’s not long until we can enjoy the exploits of Bad Nana! 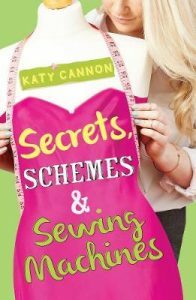 Katy Cannon is the author of Love, Lies and Lemon Pies as well as Secrets, Schemes and Sewing Machines, both of which are perfect for teenage readers. Her latest YA novel, How to Write a Love Story is based on one family who are “obsessed” with love. The main character, Tilly Frost has grown up reading the bestselling romance novels written by her grandmother. Tilly knows them so well that when Beatrix Frost is taken ill, she is able to finish her latest one for her. The 16-year old Tilly must navigate the difficult ground of school crushes and relationships while also working out how to write a convincing and enjoyable romance novel when she’d never been in love. 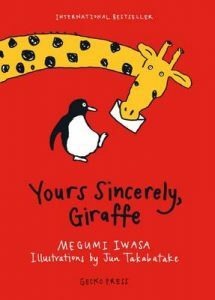 This touching book shows that love never quite happens in the flawless ways depicted on paper. The see the full review from Joanne, go to the How to Write a Love Story book page. 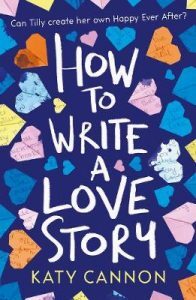 How to Write a Love Story was published on the 3rd May and is our Weekly Staff Picks this week on LoveReading4Kids (10th-17th May). The story of Tilly’s introduction to writing, her grandmother’s illness and her trials and tribulations as she decides to fall in love for real are all heart-warming and touching. This marvellous new YA novel by the incredibly talented Kay Cannon has is bound to have you falling in love with it. 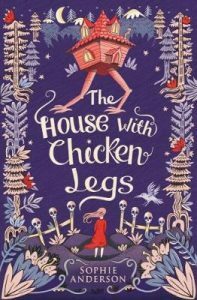 The House with Chicken Legs is the debut novel written by Sophie Anderson. This story is told by Marinka with Slavic folklore and stories of the Baba Yaga interwoven into the story to tell a remarkable story of a house that, two or three times a year, stands up and walks away from where Marinka and her family have been living. All Marinka wants is for her house to stay in one place long enough for her to make some friends. Unfortunately, the house has other ideas and the only people that Marinka gets to know are the dead. Her Grandmother, Baba Yaga guides the dead through The Gate between this world and the next. With warnings against venturing too far in to the world of the living, and a destiny to become a Yaga, Guardian of The Gate, like her Grandmother, Marinka’s frustration could lead to her risking it all for the chance to make friendships that last more than one night. 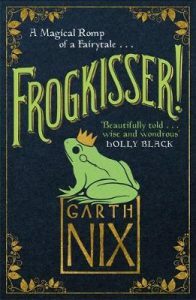 This intriguing new story is a fantastic debut for Sophie and wonderfully combines coming of age themes and frustrations that are entirely relatable, with the supernatural and a developed interpretation of the Baba Yaga stories. This story is great for those reading 9+ books and will be released on the 3rd May. Sophie Anderson’s book has also been read by one of our experts and our Reader Review Panel. Grace Phelan, age 10 – ‘Wow-just wow! What an enchanting read that was! 1. Can you describe Noah Scape Can’t Stop Repeating Himself in 5 words? When Noah doubles there’s trouble. 2. What was the inspiration for writing the book? The name was the starting point. I wanted to write a “be careful what you wish for” story, with Noah deliberately deciding to start doubling but it soon spirals out of control to become a situation he can’t escape. There is something appealing about the idea of there being one more of you, or four of you, or eight, or a hundred … but when everyone’s the same, it’s a sadder world. At the beginning of the story, Noah’s so set in his ways that he rejects other people’s ideas and opinions but the more he duplicates, the more he realises that difference makes life interesting. Difference and dinosaurs. 3. You could say that Noah is a bit of a difficult student… What were you like at school? Were you as demanding as Noah? I wish I had been – demanding, not difficult. I was really quiet at school. So quiet that I’m pretty sure I could have turned invisible and I pretty sure no one would have noticed. Which is just one of the two hundred super powers I wished I’d had as a child. I spent every school assembly daydreaming about floating into the air and out of the window. My memory’s hazy but i’m almost convinced it never actually happened. 4. We love Steve’s artwork and he’s said he just might have broken the record for drawing the same character again and again and again! What version of Noah is your favourite? It’s an impressive record! My favourite’s one of the (many) Noahs on page 51. He’s far off in the background, holding a balloon and looking strangely sinister. Thanks to horror films it’s now impossible to hold a balloon and not look evil. 5. Noah loves nothing more than talking about dinosaurs and eating spaghetti with tomato sauce. What two things do you wish everyone loved as much as you do? Comic books and cheese fondue. 6. Finally, we’d love to see the spot where all your characters come to life. 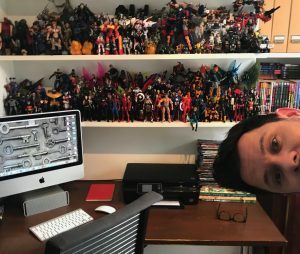 Can you show us a picture of where you write? I should point out that my main problem with writing books is the isolation. As you can see, I found a solution – you’re never alone with a thousand lifeless painted eyes staring down at you. Oddly, the toys on my shelves seem to have doubled recently. Maybe that’s where the real inspiration for Noah Scape came from. Noah Scape: Can’t Stop Repeating Himself by Guy Bass and illustrated by Steve May is published by Barrington Stoke, the leading publisher of books for struggling and reluctant readers including dyslexia friendly books. Noah Scape loves dinosaurs and spaghetti with tomato sauce. But Noah doesn’t always get what he wants and when school doesn’t revolve around dinosaur facts and lunch isn’t always his tried and tested favourite, well… enough is enough! It’s time for him to stop wishing and to decide on exactly what he needs; a world full of Noahs! But, getting what you want isn’t always what you need in this laugh-out- loud comedy from one of the fastest-rising stars of the children’s book world Guy Bass. 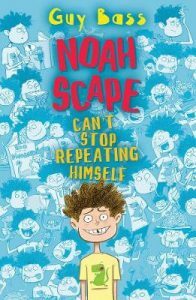 Noah Scape: Can’t Stop Repeating Himself is particularly suitable for struggling, reluctant or dyslexic readers aged 8+. The UKLA is a registered charity that works to improve and advance education in literacy. The UKLA is completely focused on promoting good practice in literacy and language teaching and research nationally and internationally. The UKLA Awards prides itself on being the only national book awards which are judged by teachers. The UKLA Awards are judged by 8 groups of judges across three different age ranges, before coming together to decide the shortlists for each category. The titles that are celebrated through the UKLA Awards are titles that teachers can and do share with their pupils as a part of their regular classroom experience. 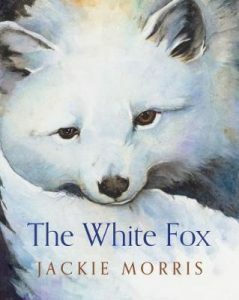 It is great to highlight the diversity in children’s literature and using high quality and enjoyable books throughout education is a great way to get more children reading for pleasure. The titles that already feature in the UKLA 2018 longlist have been highlighted for their ability to inspire an extended dialogue about the books. Whether this is a wider discussion of the book and its themes, a creative interaction with the topic or a better understanding of the wider curriculum. The UKLA also want to make sure that the books they celebrate in the awards work to enhance all aspects of literacy learning as well as literary study. Posted in Special Features | Comments Off on The UKLA Shortlist for 2018 has been announced!